The New Year is right around the corner. 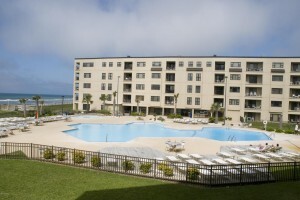 Why not make a resolution to purchase your dream vacation condo on the Crystal Coast! 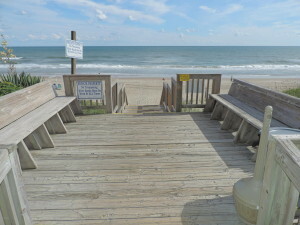 Picture yourself in this beautiful oceanfront condo with spectacular views in Indian Beach! No need to worry about furniture, as this home comes with almost everything you need already in place. 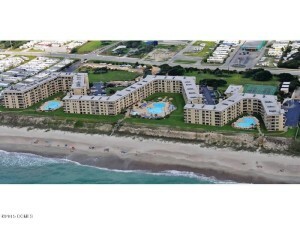 This rare, ground level, direct oceanfront condo in Summer Winds is a true gem, with 4 bedrooms and 3 bathrooms. 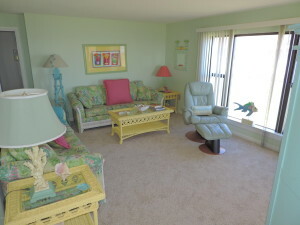 You’ll be just steps away from the beach or the pool right off the main living area and master bedroom. 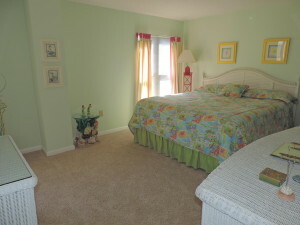 Additionally, take in a breathtaking Crystal Coast sunset from almost any room in the house. Inside, enjoy the comforts of a spacious living room, which is nearly surrounded by floor-to-ceiling windows. 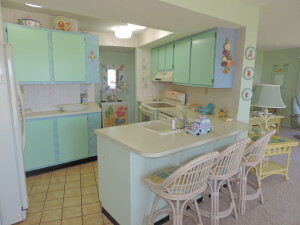 Just off of the living space is the dining room and the colorful kitchen. 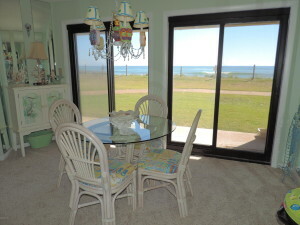 Enjoy family meals while listening to the sounds of the crashing waves just outside of the sliding screened door. Additional bar seating offers room for the whole family, and then some. Living at Summer Winds, you’ll enjoy such amenities as both indoor and outdoor pools, a hot tub, expansive sports complex, a game room with a pool table, and Ginger’s Café. Plus, the community is gated and provides boat storage. Whether you’re ready to make the permanent move to Emerald Isle or you’re looking for a beach investment property, 2016 should include this extraordinary oceanfront condo. 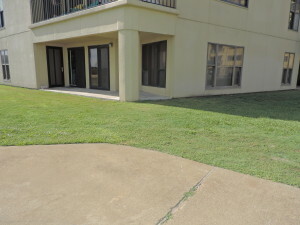 With direct beach access and a long list of community amenities, the condo is the perfect home away from home. • Property Size: 1,478 sq. ft.